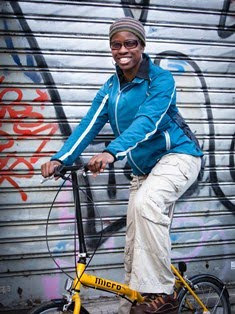 2Wheel Chick: Paris en vélo! C'est parti! Paris en vélo! C'est parti! It's been ages since I took my bike to Paris. I’ve ridden on a bike share Vélib the last few times I’ve there but nothing beats that feeling of arriving in this beautiful city fresh from London on your own two wheels. So a couple of weeks ago I booked my ferry ticket from Newhaven to Dieppe, lodgings at the coastal town, and a hotel room in the trendy 11th arrondissement of Paris. That would hopefully motivate me to keep pedalling. I have good memories of this part of Paris from the time when I lived there, and I never tire of going to the different zones in the area – Bastille, rue de la Roquette, rue de Charonne, Chemin Vert, Richard Lenoir, Voltaire, and in particular the old local wine bar, Le Baron Rouge at Ledru Rollin. Keeping these places in my mind would get me through the long ride across northern France - not that riding across Normandy would be such hardship! This was my fourth London-Paris bike-ride, and it was also my fourth different route. There are so many roads in northern France that you really do have 57 varieties to choose from when getting to the City of Light. 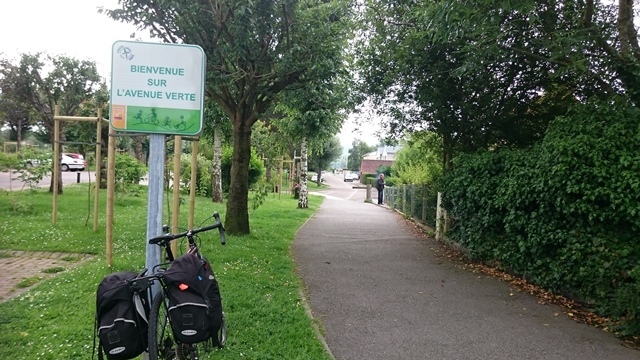 I was going to ride along part of the Avenue Verte - a waymarked route from London to Paris along disused railway lines and quiet roads. When taking the Avenue Verte route the official start is from Marble Arch, but given that I live in South London and I didn't fancy doing Crystal Palace to Newhaven in torrential rain my ride didn't start until Newhaven when I rode from the train station to the harbour – all of one mile! My Avenue Verte section would therefore start on the other side of the English Channel. On the ferry it was easy to spot the other cyclists. They were the ones walking around in shorts, no shoes (as cycling shoes are difficult to walk in), sporting a bad case of helmet hair and looking very bedraggled after their sodden ride from central London. We were a merry bunch! I was just glad to be on a ferry with other cyclists. The last time I took a ferry as a cyclist I was sandwiched between a load of Spanish lorry drivers looking at me like they hadn't seen a woman for 10 years! This Friday evening crossing was a definite improvement! Once off the ferry we made our way through the late-night sleepy streets of Dieppe en masse. Although we were separate groups travelling independently, by some coincidence we had all booked to stay at the same hotel. How uncanny! Breakfast was surprisingly hearty by French standards. They had definitely catered for folks who would be riding their bikes all day! Riding to Paris can be done at different paces, and the different groups of cyclists were doing just that. Some, myself included, were doing the ride in one day, while one couple from Brixton was making it a laid-back sightseeing trip that would take five days. 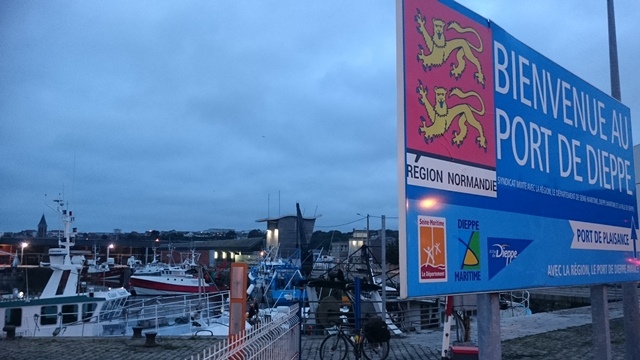 I didn’t hang around in Dieppe much, as I needed to be in my booked hotel in Paris that night, so off I popped with the proprietor wishing me a good, and hopefully dry ride. He probably knew the forecast was for a rainy day! Very soon I reached the town of Arques-la-Bataille – an apt name, for I arrived right when a parade was taking place with folks dressed up to do a medieval battle re-enactment. Thanks for the welcome party guys! Shortly afterwards the route led me to the Avenue Verte, a path reclaimed from a disused railway line in the woods. It was a real delight to be away from traffic and in my own little world. It was good to be under tree cover as well, in case of rain. Given the length and traffic-free nature of Avenue Verte this is a popular route with cyclists, particularly those from the UK. So on this Saturday morning I was non-stop greeting other riders as I ambled along. 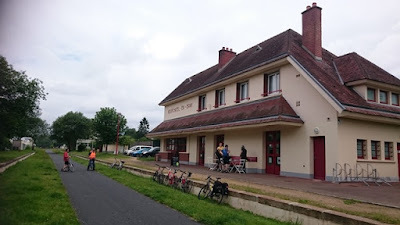 Avenue Verte has lots of stopping points with either cafes in disused railway buildings or exit points which lead to the centre of a village. I particularly welcomed toilets along the way, which were gleaming clean and had a good supply of toilet roll. Those little things count for a lot when you are cycle touring! Particular stopping points of interest are Mesnières-en-Bray, Neufchatel-en-Bray, Neuville-Ferrières, and Beubec-la-Rosière – all pretty places, some with their own little chateau. Unfortunately at lunchtime the sky turned dark and the rain came down in torrents. Someone must have been watching over me as this happened just when the Avenue Verte crossed a tunnel where I could shelter.